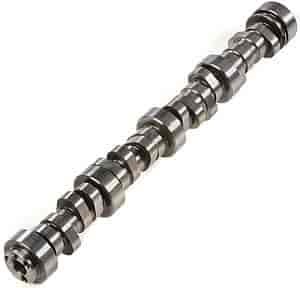 COMP Cams XFI XE-R Hydraulic Roller Camshaft GM Gen III/LS1/LS2/LS6 1997-PRESENT (Three-Bolt) Lift: .581" /.588"
COMP Cams 54-444-11 - XFI XE-R Hydraulic Roller Camshaft GM Gen III/LS1/LS2/LS6 1997-PRESENT (Three-Bolt) Lift: .581" /.588"
JEGS Hydraulic roller cams are designed for 1989-1995 Ford 5.0L, GM Small Block, and 1997-2004 GM LS Series (Gen III) engines. These cams work with the OEM Hydraulic Roller Tappets & Retainers. Includes camshaft only (tappets are not included). Does JEGS 200582 fit your vehicle? 200582 is rated 5.0 out of 5 by 8. Rated 5 out of 5 by AndyTX80 from This is basically the same cam that comes in the Trick Flow 515hp top end kit for LS1 but for way less money. I ran the actual trick flow grind in my C5 and it made 480 whp n/a with a stock bottom end ls1. I now have this Jegs grind in my 02' WS6 with long tubes and the car made 408 whp with a tune. I raced a new challenger and 5.0 Mustang at the track and gapped both of them no problem. I highly recommend this cam to anyone trying to get the most bang for the buck out of their build. Don't be fooled by the Jegs brand. This is a Trick Flow grind and it's bad to the bone. Rated 5 out of 5 by turabo87 from Very linear torque and awesome power increase!!!! Bought this for my C5 Corvette build. So happy I went with this "mild" cam. It's actually not that mild, pulls hard all the way up making power up to 6700-6800 RPM. Very impressed with it and it's good balance of great torque, linear power and drivability. Made 397WHP on LS1 with stock 853 heads, full exhaust, LS6 intake and cold air intake. Rated 5 out of 5 by Red Cross from Ive always bought from Jegs .And always will can,t wait to put the cam on and fire it up. Rated 5 out of 5 by Turbosleeper from Sloppy stage2 turbo cam Chop chop boost boost. Great power to 7kish when used with PAC1218s stock engine stock truck intake and your favorite flavor of turbocharger. Rated 5 out of 5 by Kem7485 from Best bang for the buck This cam is the most reasonable priced cam to build great power for a gen3 engine. I have used a couple jegs brand cams with great results. Great quality product, ordered it and had it 2 days later and saved over $100 with the jegs brand vs the exact same spec cam by TFS. What stall speed is needed for this cam? We would recommend a torque converter stall speed of 2400-2700 rpm. This will not pass an emission test. Yes, this will work in your LQ9 engine. This cam has more lift and duration then the GM hot cam. Would that cam fit 2006 4.8. ? Yes, this cam should fit your application. Maybe someone can tell me will it fits LQ4 6.0 with LS3 unmilled heads without any PTV issues or I'll have to fly cut my pistons? With variances in every engine build the pushrod length/PTV clearance should be checked during assembly and changed if necessary. in a 2000 6.0 will I make enough vacuum to run power brakes? There should be no issues using this on power brakes.